by former U.S. Senator Tom Coburn, M.D. As a doctor, I investigated the root cause of problems. Some doctors have fallen into the trap of just treating symptoms — this is the major reason for the overdose epidemic. In government, the prime way politicians, bureaucrats and some advocates approach government is to throw your hard-earned money at it. The answer to state government's failures isn't more money — it's fiscally responsible governance. Recurring revenues have been raised more than $700 million the past several years. State reports show the budget gap at less than $200 million. State government operational dysfunction abounds — for example, the scandal of at least $30 million squandered at the state Health Department. Oklahomans are striving to get out of a recession. Working Oklahomans need $800 million in annual tax increases like a hemorrhaging patient needs leeches. Opportunities are numerous for fiscally responsible governance, so tax increases are unnecessary. Robust Medicaid enrollment audits are saving states billions — Oklahoma can implement this and save more than $80 million in state-share funds annually. Oklahoma state government cries poverty yet has subsidized, over a period spanning the last two recessions, $20 million for Hollywood and film production, including $4.6 million to producer Harvey Weinstein. The state piggybacks the federal giveaway of subsidizing wind with state subsidies exceeding $100 million annually. The state cheats itself by more than $100 million annually in state tribal gaming tax revenue because of its below-market gaming tax rate. Oklahoma pays tribal governments more than $50 million annually to sell cigarettes. Patronage and mission creep created the fundamental flaws of K-12 and higher education; empowering parents, students and teachers is the solution. Government employment reform, so good employees are compensated more and underperforming employees are moved on, is necessary. State pension administration reform can save $15 million annually. Smarter and healthier spending of the more than $75 million annually controlled by the billion-dollar Tobacco Settlement Endowment Trust is long overdue. A bipartisan, bicameral oversight committee with subpoena power to conduct performance and process improvement audits and reviews of every dollar spent, with full-time and independent staff that works transparently year-round, is a must. Plans to throw a bomb of tax increases at the problem of lack of structural and transformational reform, while well intended, will fail like previous attempts. More money and appointing better managers to a flawed structure that was built by corrupt, good-ol'-boy politicians, isn't transformational. The $800 million package of tax increases being discussed at the state Capitol includes more than $175 million in sham income tax "reforms" that are just a backhanded way to increase taxes on working Oklahoma families. This must be stopped. Oklahoma's most vulnerable and Oklahoma taxpayers who don't have an army of lobbyists deserve for politicians to take the true steps to do the tough work of responsible fiscal governance, structural reform and transformational policy solutions that end the failed status quo of government operation — as promised. Anything less is a step off a cliff into the folly of just throwing more money at government. 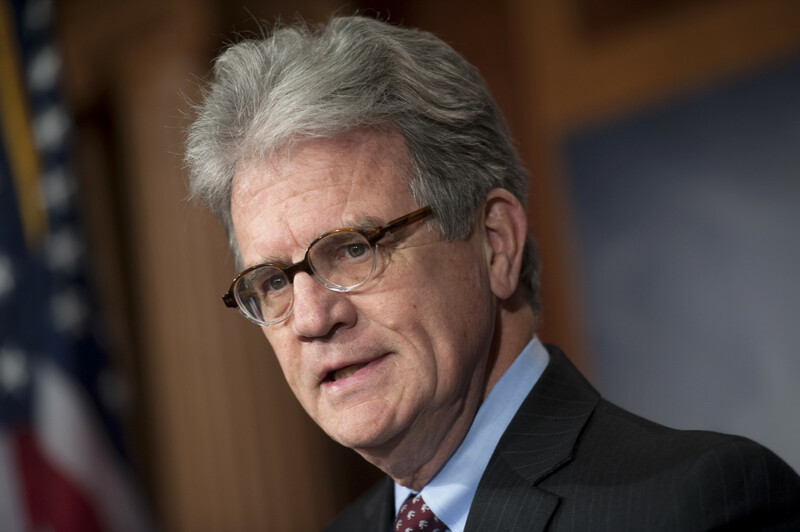 Coburn, a former Republican U.S senator, lives in Tulsa.